This page provides content on the various coupes. Most are fairly brief; some (such as Topleys) more extensive. Clicking on one of the links below changes the content that is displayed. It does not link to a separate page. We are still working on the content for the coupes since 2000, so there is no active link to these. Most of the images here were taken by the warden, David Harris. However the more recent ones were taken by the assistant warden, John Turner, who also provided the base map for the coupe map below. For many coupes, there are series of images laid on top of each other. If you click on the highlighted text, the appropriate image will be displayed. There may not be a change on the first such link since the initial image is already displayed. In addition to these coupes which will be coppiced on a rotational basis, there are additional areas that are managed by regularly cutting back the tree growth. These are the area under the power lines, and Keith’s Glade. Neither of these are named on the map. The powerlines area is the diagonal area across the north-east corner between the two green areas. Keith’s Glade is where the footpath crosses the stream just south-east of Topley’s. As you hover the mouse, the pointer will turn to a hand. If you click on a coupe, then information about that coupe will appear below the map. You may have to scroll down to see it. If you print this page, then the introductory text and the list below (in this narrower column) will not print, but the map and the coupe information that you have selected to see will print. Information on individual coupes will appear here. Digby’s Dell is named after a Mr Digby, who was instrumental in the negotiations between the Trust and the Vendors. 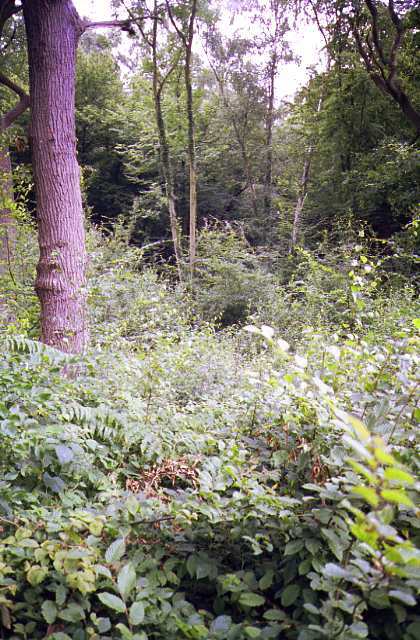 In 1993, Digby’s Dell comprised an overgrown pond, with much neglected coppice shading it. 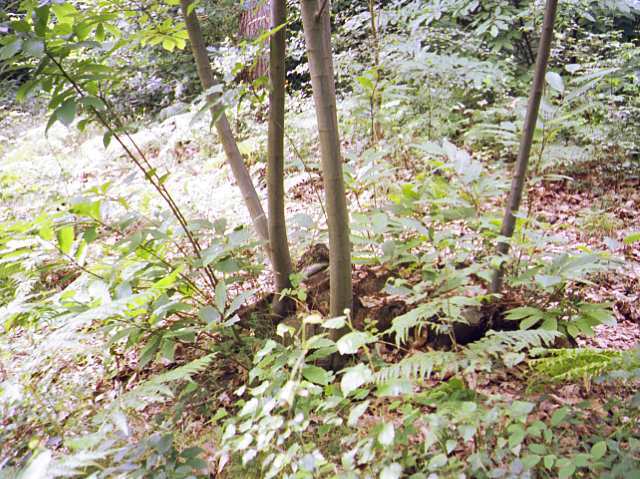 Much of the coppice was chestnut. The image below shows a chestnut stool after two years. 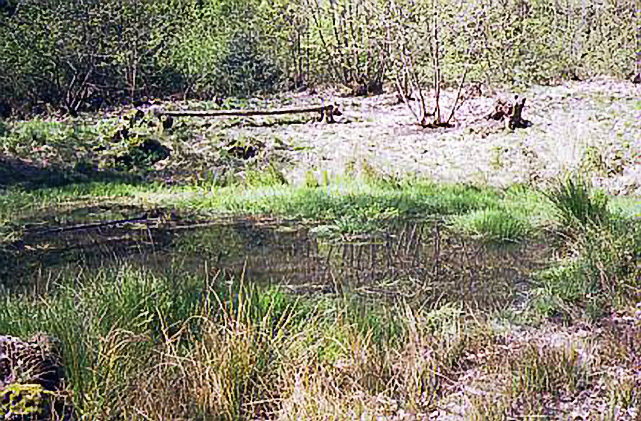 The pond in Digby–s Dell is an important feature of Pound Wood. It has remained throughout even the driest summers, providing an important habitat found nowhere else in the wood. Even though it was thoroughly cleared in the 1993–94 season, the waterside vegetation has gradually encroached. Beginning in 1997, a programme of partial clearance began. Approximately one third of the waterside vegetation and mud is removed and dumped elsewhere. This will allow the open water to remain, without too drastic a change at any one season. Little Valley lies in the valley of the Hunford Brook. 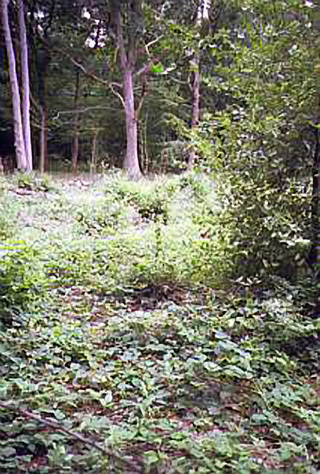 Before coppicing in 1994, it comprised an overgrown coppice of Hornbeam and Chestnut. The alternate images above show the extensive regrowth to the north and to the east of the coupe in 1999. Much of this comprises Hornbeam saplings which have germinated since the recent coppicing in 1994. 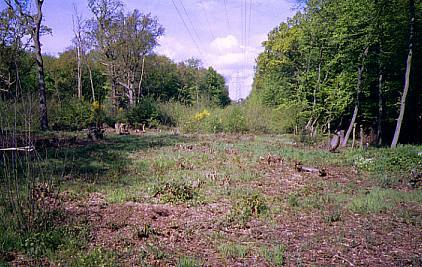 The regrowth extends across the margins into the adjacent uncoppiced woodland. The Hunford Brook, a small stream flows through the coupe. It is often sufficiently full to warrant a bridge to take the path Shorts’Cut across it. The main path through the coupe (from east to west) is Thompson’s Path. Gunpowder Plot was so named for two reasons. Firstly because coppicing began on November 5th 1995, and secondly because Gunpowder charcoal was largely made from Hornbeam, a principal coppice tree in this coupe. There is no evidence that charcoal originating in Pound Wood was used for the notorious Gunpowder Plot of 1605. The view on the right is of the plot in 1999, taken from the ajacent ride (Rostron’s Ride). The two other alternate views of the coupe are taken from within it looking north-east and north-west. In each you can just see the pylons through the regrowth and the standards left on the coupe margin. Rowley’s lies on either side of the circular bridleway known, in this stretch, as Carter’s Ride. This was the first coupe that was adjacent to to the wood boundary. 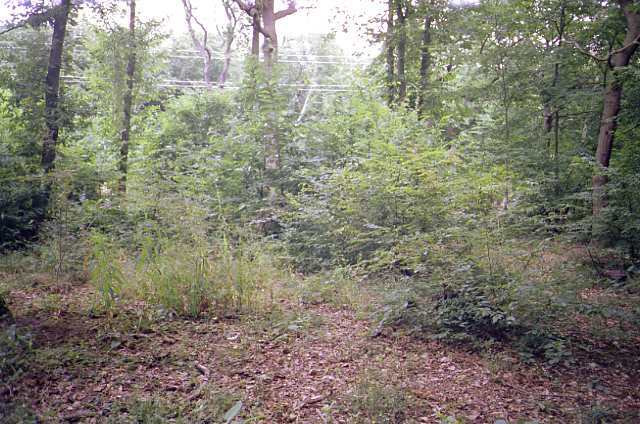 During coppicing the boundary trees were maintained to provide a hedge bounding the wood. The image to the right shows the path through the coupe, running between Carters Ride and the nothern boundary. The image below shows the area north of that path. The boundary is visible in the background. 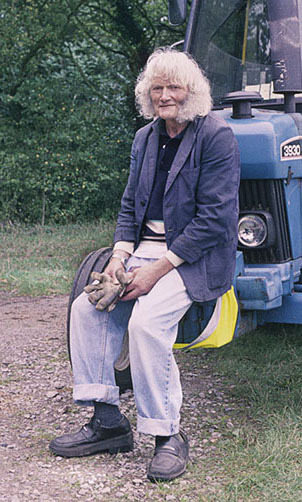 Topley’s is named after the late Rob Topley, then our oldest working party member, who celebrated his 90th birthday during one workparty. 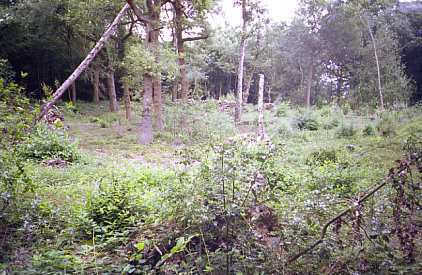 The coupe was coppiced in the winter of 1997–98, and the photographs here of the finished coupe were taken in July 1999. Because these photos were scanned from 35mm slides, the quality is not as good as we now get from a digital image. Click on the coloured links to see the hidden images. Note that the first coloured link typically displays the first image in the set, so you will see no change unless you go back to it! The first two of images show two views of the coupe, from the south-west, and from the south-east. The next two images show the cordwood at the southern boundary (with the power cables visible in the background) and the pile of brash along the eastern boundary. 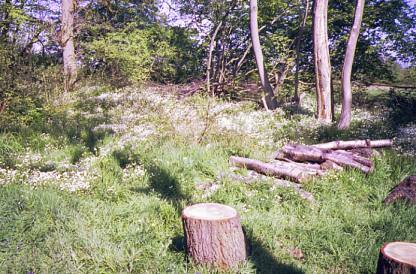 The final image is of one year after coppicing. There is a vigorous sward of low ground flora, especially the Common Cow-wheat on which the Heath Fritillary feeds. 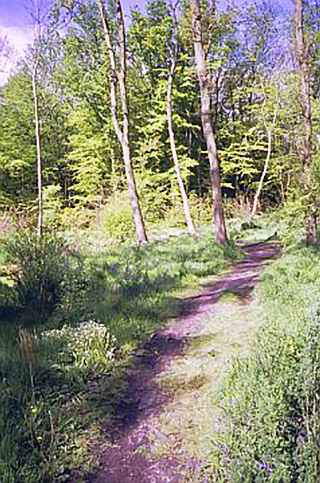 When Topleys was reviewed for coppicing, the Trust conservation staff considered that the number of mature standards was excessive. The optimum number for wildlife is around eight per hectare. By this criterion, Topleys had at least six too many. 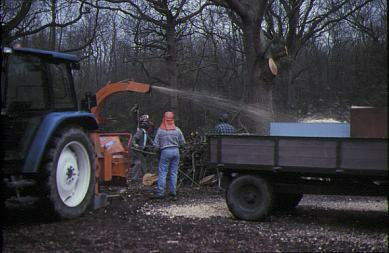 Thus a number of oaks were earmarked for felling during the 1997–98 season. 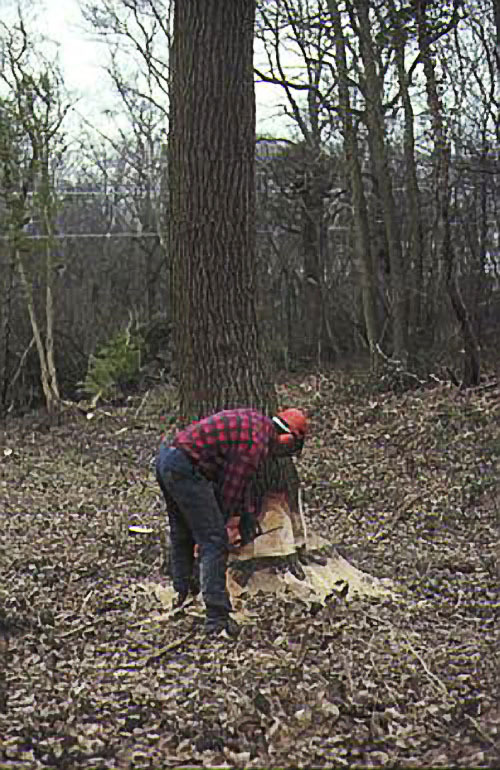 A cut is made low down on the side of the tree on which it is intended to fall. then a second triangular cut is made, with the lower face parallel to the ground. Further cutting is done on the side that the tree will not be falling. As the tree falls, it does so away from the chainsaw operator. The side branches are now removed and are stacked nearby. 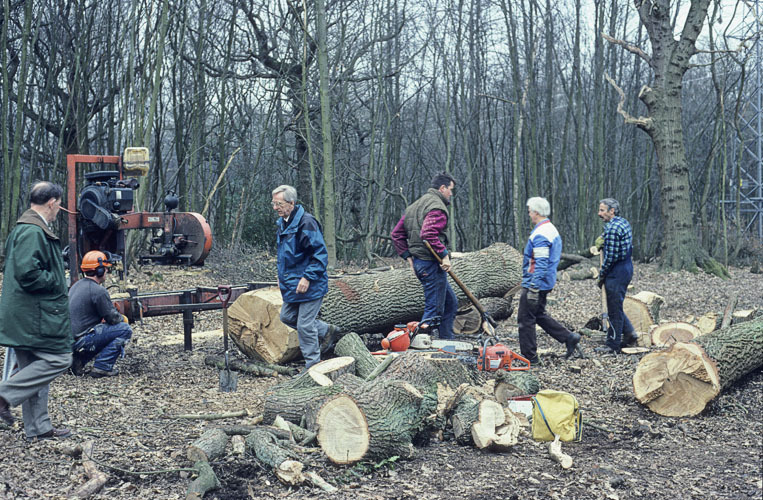 The felled tree can now be sawn into convenient logs that can be moved by tractor to an adjacent area (image below) where it can be further processed. To facilitate removal of the timber, it is convenient to convert the trunks to planks on site, using a mobile planking machine. Each trunk is brought next to the planking machine and then winched onto the platform and secured into place. The planking saw is then brought into play. This generates considerable quantities of sawdust which can be collected The first slices taken from the side of the log are removed to one side. The planks proper are then stacked ready for removal. 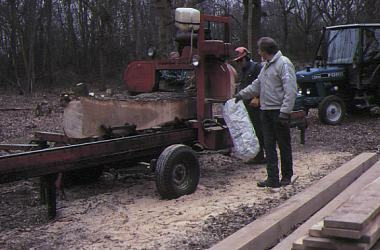 The wood that cannot be converted to planks, and which is not intended cordwood or the habitat pile, is converted to wood chips by a chipping attachment. These chips can be collected and sold as a garden mulch. The name of Back Acre is due to Rob Topley. He described working there as a ‘Back Ache-er’, and of course, each coupe is of approximately one acre. 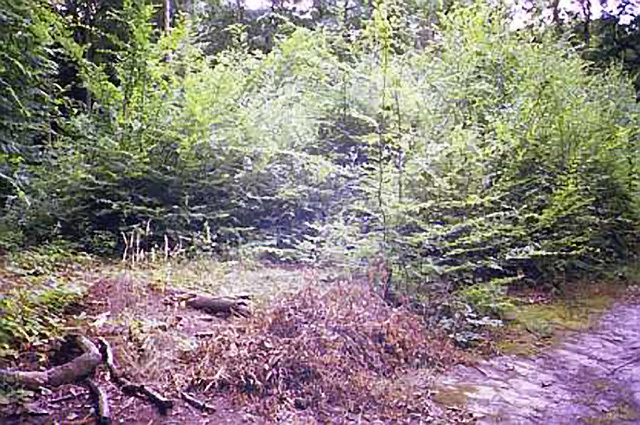 The site was coppiced in the winter of 1998–99, and these photographs were taken in July 1999. The picture below left shows Back Acre from either the west, or from the south-west. The picture above right shows Back Acre from either the east, or from the south-east. The southern boundary of the coupe is left as a hedge and is just visible in the foreground of the south-east picture. The cords of coppice-wood are just visible on the far side of the coupe. 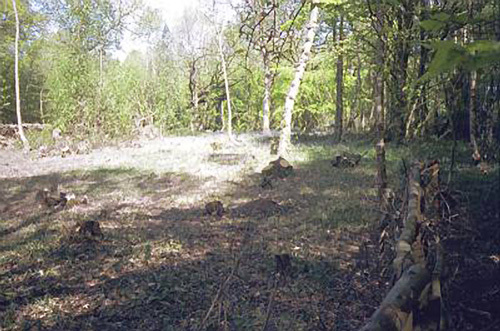 Bullock’s, named after Gerry Bullock, one of the regular coppicers, was coppiced in the winter of 1999–2000. 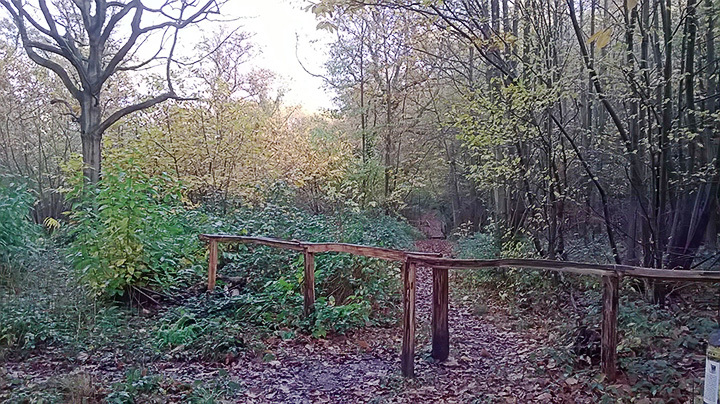 The coppiced area surrounds Bullock’s Pond, just across the ride from Digby’s Dell. Bullock’s Pond, unlike the one in Digby’s Dell, usually dries up in summer. There is not yet any content for this coupe beyond Bullock’s (1999–2000). This is the area designated for coppicing in the winter of (2016–2017). The area under the power lines has been regularly coppiced by the Electricty Authorities ever since the pylons were erected across the wood. In recent years this has been the Eastern Electricity Company, who last coppiced the area in 1997. This coppicing was simply to prevent the growing trees from interfering with the electricty cables crossing the wood and was done at intervals of eight to fifteen years as needed. With this last coppicing and at our request, the company converted all the brash (thin wood trimmings) into wood-chips and heaped these along the coppiced area. These heaps are readily colonised by red Wood Ants, Formica rufa, which are common in the wood, particularly in the power line area. 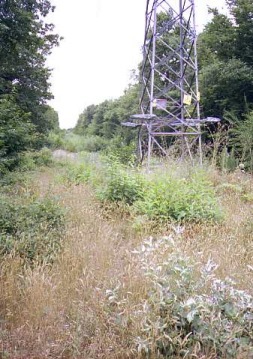 The picture to the right looks east and was taken in 1999 and shows a good growth of both coppice trees and herbs below the power lines. The other picture (below left, also taken in 1999) shows areas of barer ground. Because of this regular coppicing, this area has always had an abundance of the Common Cow-Wheat, Melampyrum pratense, which is the food plant for the Heath Fritillary Butterfly, Mellicta athalia. In 1998, with the support of English Nature, the Trust introduced a number of these butterflies into the area below the power lines. Some came from another Trust reserve, and others from Sussex. The following summer, in 1999, a small number of adult butterflies were to be seen. The Trust’s policy is now to maintain this area as a short coppice cycle of just a few years, to provide ideal conditions for the Cow-wheat. 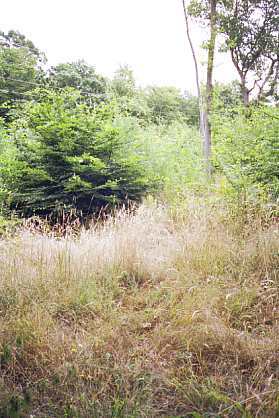 The area below the power lines also abuts onto two other coppiced areas, the Gunpowder Plot and Topley’s, (see the links in the main map) both of which have abundant Cow-wheat. This should give ample opportunity for this attractive butterfly to spread. The photographs below were taken in recent years. They were all taken from the western end of the Power Lines Corridor, looking east. They were taken on August 2012, May 2014, July 2014 and April 2015. All are © John Turner. The August 2012 image shows the hedge between the path and the corridor with a full summer’s growth. To the bottom left there is Rosebay Willowherb, in the centre there is Bracken, with (probably) Nipplewort in the foreground. To the lower right there is some regrowth from a Chestnut stool. In the upper right you can see the larger trees in the adjacent coppice coupe Gunpowder Plot) have been cut back, but the hornbeam at the edges has been growing vigorously. The May 2014 image clearly shows the woven fence along the path. beyond the fence, the area in the foreground has been closely cut to encourage the growth of the Cow-wheat. 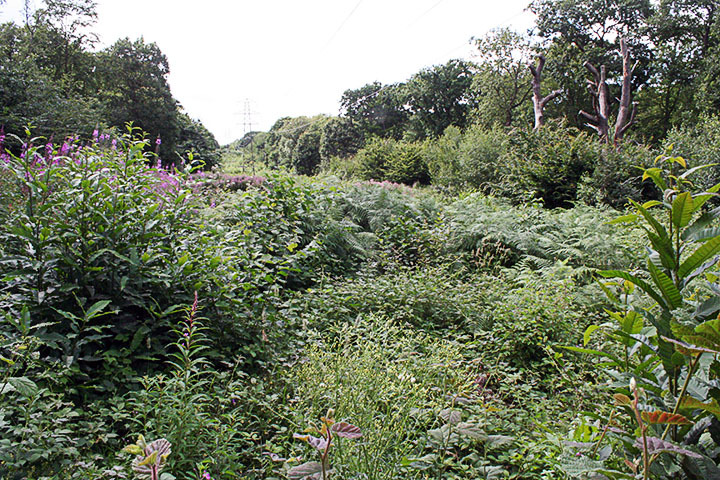 Beyond that the vegetation has grown up from a previous close cut. The July 2014 image shows the regrowth in three months. This includes Hornbeam and Chestnut from stools, plus forbs such as Rosebay and Nipplewort. At the edge of the coupe, to the centre-right is a stand of Great Hairy Willowherb. This is growing on the shaded southern edge of the coupe, where conditions are damper. The April 2015 image shows the coupe in the aftermath of a heavy crop. There is little or no ground flora, which allows the seed bank (especially of Cow-wheat) to germinate and grow without competition from established plants. Keith’s Glade is a small area of about 0.2 hectares where Wilkin’s Path crosses Miles Brook. There are rustic seats available for the visitor to rest. It also features the rustic bridge known as Codger’s Crossing. The name is from the mostly-retired volunteers who built this bridge. The timber for the bridge came from a number of chestnut trees in the vicinity. When they were felled for the bridge, the management decided to keep the area clear as a glade. The reason for building a fairly large bridge over a rather small stream is that every so often, the Essex and Suffolk Water Company flushes out its reservoir that drains into Miles Brook just here. This creates a very wet and deep gully that cannot easily be crossed dryshod. 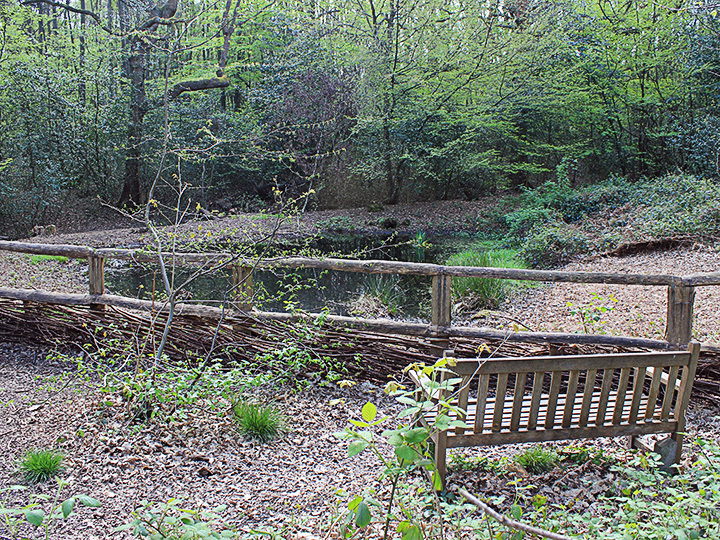 In addition to the bridge, the glade also features a small dam across the Miles Brook. This is to generate a more permanent damp area in the glade. This patch feature a rather scarce sedge, the Bristle Scirpus, Isolepis setosa. The scarcity of records for this species is probably a reflection on its rather nondescript appearance!